As a culture, we are mistakenly obsessed with highs and lows. We assume that if a person likes philosophy, they could not possibly enjoy the Kardashians. One cannot read Borges and then turn around to consume “50 Shades of Grey” in the same breath. 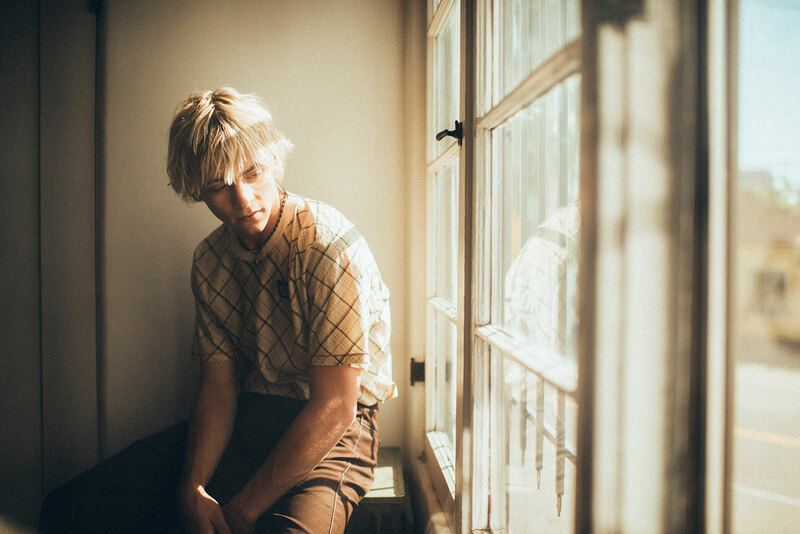 In the role of Jeffrey Dahmer, Ross Lynch smashes the high-low convention. Without a glimmer of contrivance, he metamorphosizes from an extremely likable pop musician (and former Disney star) into the embodiment of a serial killer in teenaged form. One minute, he’s popping bottles in his music video, “If.” The next, he’s dissolving roadkill in acid. And the juxtaposition is nothing if not engrossing. 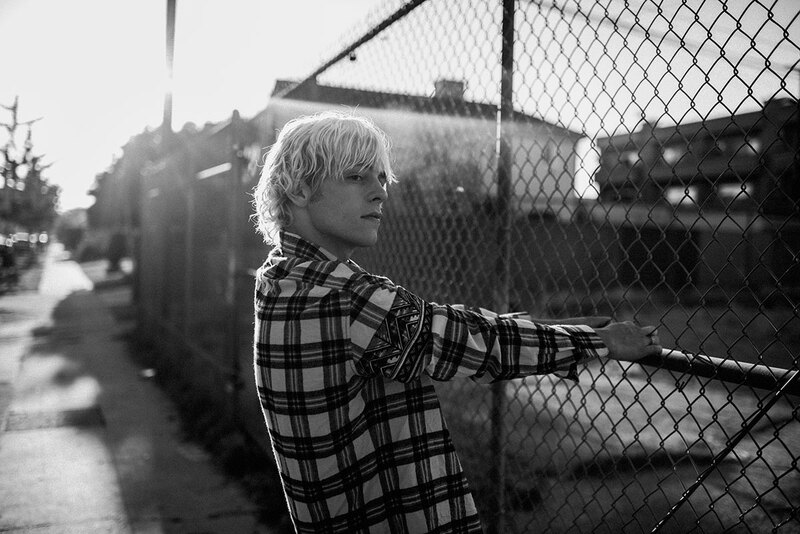 As an unremitting portrayal of a famed killer, “My Friend Dahmer” poses a creative and intellectual challenge unlike any other —a challenge that Ross Lynch meets without hesitation. Charlotte Anderson: From Disney to Dahmer… Can you tell me the story? 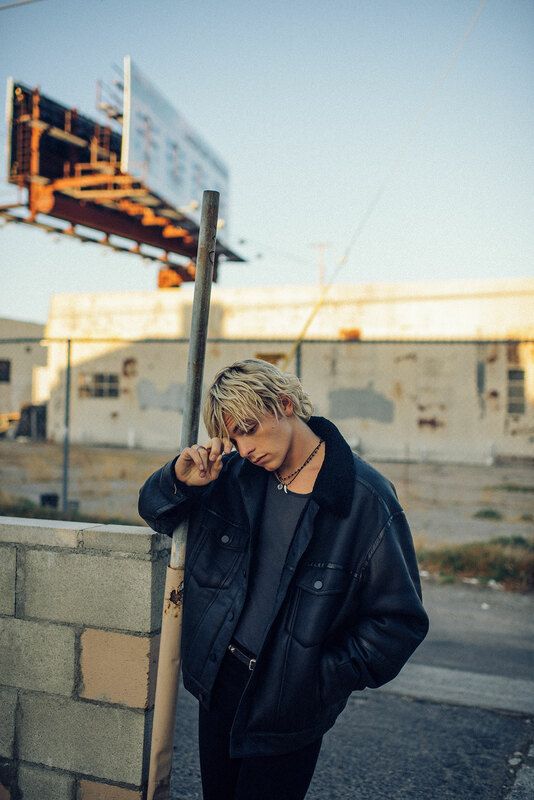 Ross Lynch: I was on Disney Channel about two years ago, and that lasted four years. But I’ve been doing music ever since I moved out to L.A. — about ten years now. Dahmer came around at the perfect time, right when I was contractually out of Disney. I was on tour with my band and looking for the next thing. And I had it in my head that I wanted to do something that was maybe a little bit more independent, darker, and more interesting. Then this script came out of nowhere and fell in my lap. At the time, I actually didn’t know who Jeffrey Dahmer was. I met with Marc Meyers before I even read the script, and we got on great. I still had to audition though, so I sent in a tape — the whole nine yards. It ended with this really cool session that I had never done before — sort of a director/actor work session with Marc and his wife. It was really cool. A few months after that work session, I got a call, and they said they wanted me to be Dahmer. CA: How did you get the mannerisms so on-point? You really nailed that lurching, closed-in quality he had. RL: There’s this one video; I always forget the name. But when Jeffrey Dahmer was caught, he basically confessed to everything. He told people why he did it and everything in detail. They went through all sorts of psychological studies with him; so that was a very good source of material for me because you can just see how he acts and how he walks. My walk in this film is really just me trying to mimic him and the way he walks into those interviews, which is striking and eerie. That’s probably one of the more important parts of portraying an actual human being: getting the physicality down. So that was really important. CA: Considering the horrible things Dahmer did in his lifetime, did you have any trouble tapping into the sadness of this role? RL: Not really. At the time of filming, being in Akron, Ohio, I did feel lonely. I kind of felt isolated in this little world that I created for myself, I guess you could say. The wardrobe and being in Jeffrey Dahmer’s actual house — all that helped as well. There were a lot of elements that came together to make me feel super isolated. I come from a really big family, a really close family, and just being separated was enough to make me feel somewhat lonely. But there were a lot of elements that definitely helped me get into that mindset. CA: The implication of the film is that Dahmer may not have progressed to murder had he not been so traumatized by his childhood and left so alone and unheard. What do you think of that interpretation? RL: I have a lot of different theories. I go back and forth between thinking that he could’ve possibly been saved or that he might have just inherently been… Maybe, biologically, he had this urge to just kill for whatever reason. Maybe it’s an evolutionary variable. I have a lot of different theories. I do like to think that, maybe, if he had been born today in the 21st century, where we’re a little more conscious of mental health, then, yes, he could’ve been helped. I like to think that, but I go back and forth. CA: There’s been a really interesting debate over the ethics of humanizing a serial killer like Dahmer. I don’t know if I can necessarily agree with that line of thinking, but what are your thoughts on that question? RL: When it comes to playing a serial killer? CA: When it comes to humanizing a serial killer by examining their origins. RL: Personally, I think what makes this film super interesting is the fact that at one point Jeffrey Dahmer was just a high school kid, and he was going throughout his day. Maybe he was a little lost, but he did have somewhat of a normal upbringing. He definitely had a hard family dynamic, and he wasn’t the most popular kid in school, and he was socially awkward. He had these weird thoughts in his head and things like that, but he definitely was a kid at one point. I think the conversation of how a serial killer came to be is really what makes this film so interesting. There are probably a lot of people today that go through the same thing that Jeffrey Dahmer went through. But they don’t go to kill 17 people. Ultimately, I think that’s what makes it fascinating because no one really knows why. CA: The juxtaposition between your career as a musician and you playing Dahmer is just genius. I love that decision. Are you interested in doing more projects like this? RL: Yeah. Honestly, it was a really happy coincidence. I don’t know if I could shock people as much as I did in this film, but I would love to do something again where people just don’t expect it at all. I think that’s part of the fun of being an artist, and I think that’s what a lot of people overlook nowadays. It’s so easy to be pigeonholed… A lot of people like to be good at one thing (or maybe they get cast for that one thing), but part of the fun of being an artist is exploring. Even with music, I would love to do all sorts of different genres. I think that’s part of the fun, and honestly, if I could find another role to shock people as much as I did with this one, I would love to do it. CA: So, what’s next for you? RL: I have another film that I actually did before this. That will be coming out soon, which is funny because it’s a comedy. I just got off a long tour in Europe, and I’m going to go tour South America very soon. New music is going to be released. I’m reading scripts and auditioning still. We’ll see!